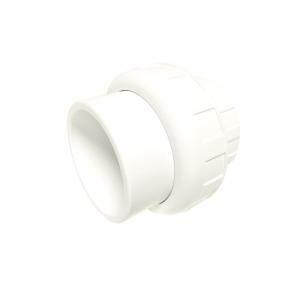 Schedule 40 PVC Union fitting is like a coupler that can be taken apart. The union fitting has slip connections for the PVC pipe and a threaded "union" joint making it possible to separate the pipe sections at this connection. Union joint has an EPDM seal for leak-proof connection.